We will also implement the reverse process: decoding, in order to reconstruct the original image. JPEG compression hinges on the characteristics of the DCT transform. 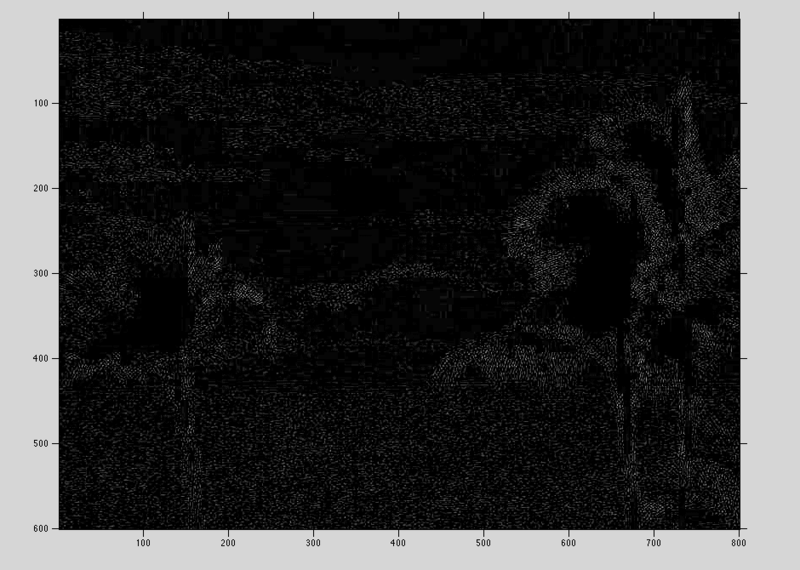 The DCT transform maps pixel domain to frequency domain. The DCT transform has a property where it will organize high frequency components on the top-left of the transform and low frequency components on the bottom right of the transform. Coefficient magnitude represents the energy and its location represents the horizontal and vertical frequencies. The human eye responds more to high changes in frequency and because of this property the DCT suits us well for the next step of compression: quantization. Quantization is a simple mathematical operation performed on each DCT block. When the quantization operation is performed, precision is lost and thus achieving compression. Or, in other words: When the number of discrete symbols in a given stream is reduced, the stream becomes more compressible. For example, reducing the number of colors required to represent a digital image makes it possible to reduce its file size. After quantization, many coefficients turn to 0, which will provide a large degree of compression w/ the final Arithmetic coding step. In order to proceed to the Arithmetic coding step we have to process the data first; zig-zag scanning will help us with this step.. Many AC coefficients become zero after quantization. Many AC coefficients become zero after quantization. Zig Zag scanning arranges the coefficients in the increasing order of frequency. We started this project by loading the .jpg image into Matlab and displaying it, this was done with the help of imread() and imshow(). 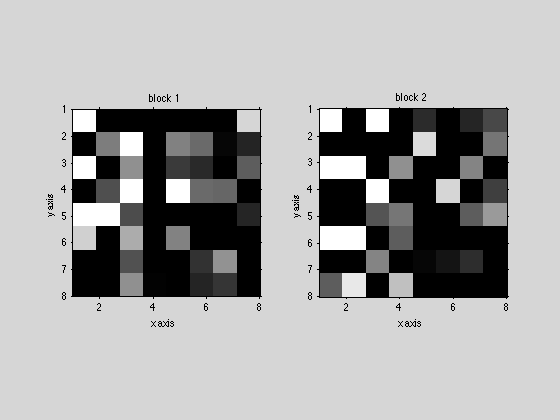 Next we displayed the DCT coefficient matrix as well as image of the DCT transformed image blocks of the first two blocks in the 4th row, also finding the luminance component. We then quantize the DCT image by using the JPEG luminance and chrominance quantization matrix from the lecture notes. This reconstructs the image by computing the inverse DCT coefficients and sub sampling through interpolation. We compute the inverse quantized images from the previous steps, bringing the image back into RGB format so we can compare the newly uncompressed image to the original. These images cannot be deciphered by looking at them from an untrained eye. The PSNR is finally calculated and results are interpreted. As an end result we were left with five different figures representing different aspects of the project. The first figure simply showed we could read and output an image through the Matlab environment, which was fairly easy. Figure two is the result of taking just the DCT blocks from row 4 block one and two. Next we convert back into RGB format, figure three shows that the reconstructed images and the original nearly identical to the human eye. The PSNR between the original and reconstructed images are then taken and the findings show that for the luminance component of the decoded image is just over 40. Compute the 8x8 block DCT transform coefficients of the luminance and chrominance components of the image. 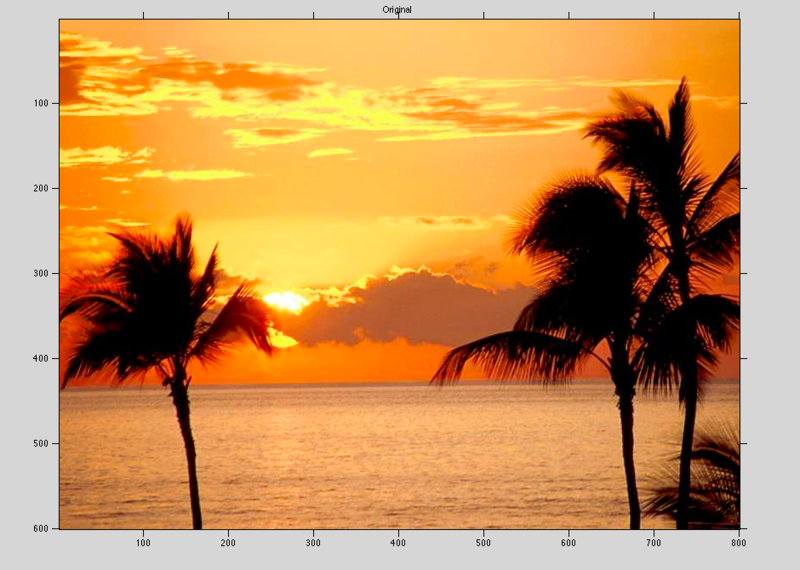 Quantize the DCT image by using the JPEG luminance and chrominance quantizer matrix from the lecture notes. In summary, we read and display Digital Images in Matlab, found the DCT/ zigzag DCT coefficient matrices, and encode/decode an image through quantization. This is the basis of JPEG compression and also has inroads to an important aspect of video compression called Motion Estimation.